If you need help fast, the phone is never where you need it. And sometimes it’s just not possible to make the call. Our range of panic alarms and independent living systems are always there to alert the right people simply and quickly. 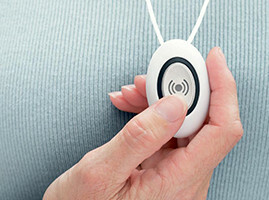 Giving you peace of mind in your own home, a panic button can trigger the alarm, alert friends or family, or alert a monitoring service that can call the police. Panic buttons can either be handheld or be easily positioned where you need them, whether by your doors or in an inner refuge. 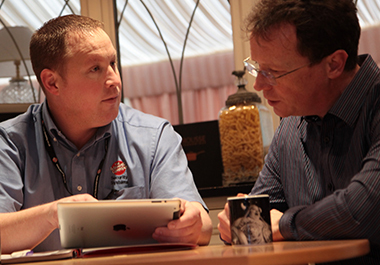 An independent living alarm can give you the confidence to stay in your own home. Our systems can alert friends, family or professional carers, and can let you talk to them without needing to get to the phone. Who knows what tomorrow may bring? If your situation changes fast – be it an external threat or changes to your health, we will prioritise your call and quickly install a system to give you back your peace of mind.